Do you know Osteoporotic women who have replaced their missing teeth with dental implants have experienced an enhanced quality of life? Yes, a study published in the Internal Journal of Dentistry included 237 patients and compared those who are missing teeth but have replaced with dental implants versus people who are missing teeth and do not have teeth implants. Based on their emotional health and quality of life, the study shows that dental implants considerably improve a woman’s quality of life than who have replaced their missing teeth with dentures and bridges. Osteoporosis is a medical condition that occurs when bone is lost. It affects mostly women than men due to aging, hormonal changes, and deficiency of calcium or vitamin D. It has severe effects on oral health as well as bone loss in the jaw which leads to tooth loss that significantly affects the kind of dental restoration you will need. Dental implants are the most favored option than any other tooth replacement options as they are the most natural and secure option. Whether you are missing single or multiple teeth, it affects the ability to speak and eat normally. Even if the missing tooth is at the back of your mouth, you can detect some subtle changes in your speech. Besides, some of your favorite foods are not quite edible as they once were. When you replace it with dental implants, it can restore the functionality of your mouth which makes it easy to speak and eat just like once you did. Missing teeth can have significant effects on your overall health as well. A gap in your teeth is the breeding ground of bacteria. 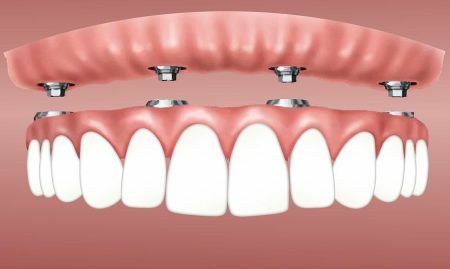 It can even shift your remaining teeth which could affect your bite and cause pain while you speak and eat. If you cannot eat well, your overall health is also compromised. The teeth implants help preserve and maintain the integrity of the bone structure, and it helps avoid infections. Moreover, the cost of implants is affordable and it is a single investment when compared to bridges. When you can’t smile confidently due to a missing tooth, it can have an impact on your confidence level. None can realize the effects of missing teeth than the people who are experiencing it. A smile is a surprisingly powerful thing in our life! You can get back your smile by replacing your missing teeth with dental implants. No matter if you have lost a tooth due to trauma or dental decay, it is essential to have them replaced as early as possible. The dental implants cost is affordable, so why don’t you consider? Replace your missing teeth with dental implants and improve the quality of your life.